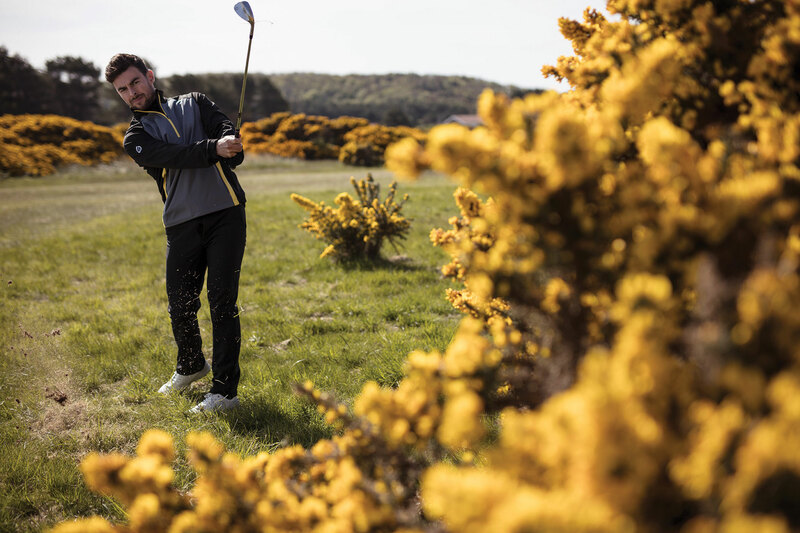 Sunderland of Scotland, the 55-year-old technical golf wear brand has revealed its new collection for Spring Summer 2019. 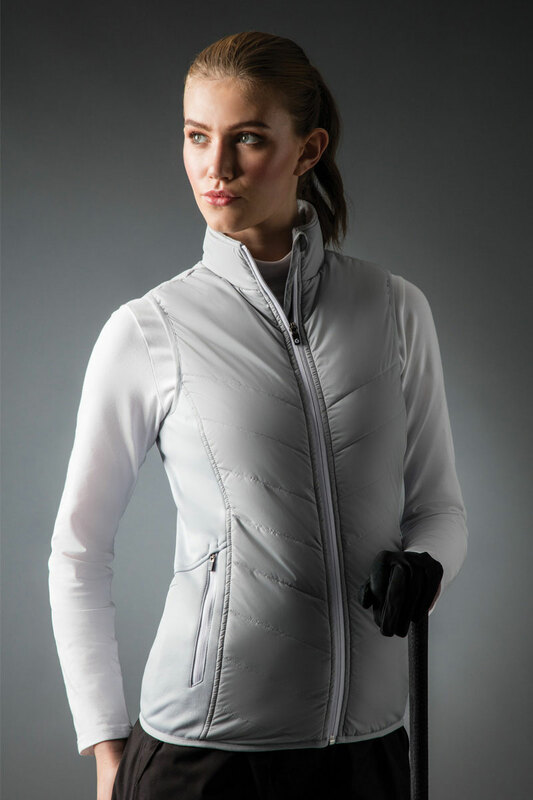 Golfwear is hot and we mean that figuratively and not literally. 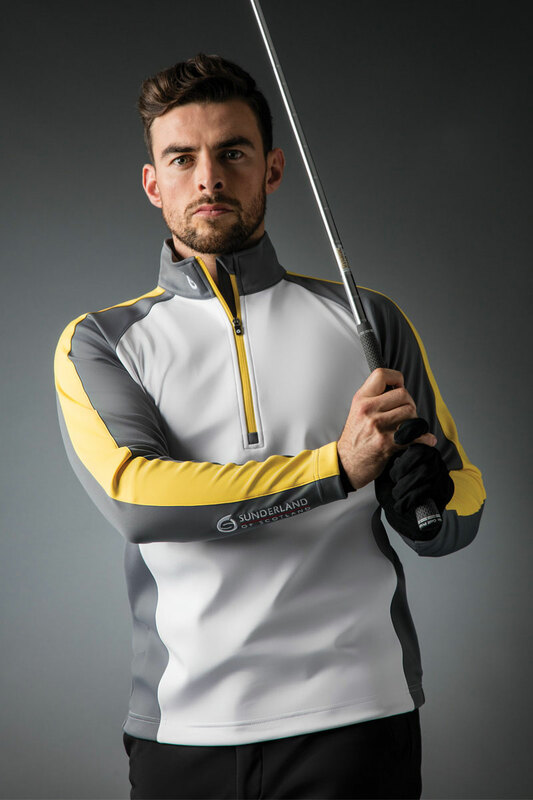 The general styling and cut of golf clothing have garnered fans from all walks of life and a good number of them have never picked up a golf club! Back in the early 80s, this writer can recall pleading with his parents for the latest Slazenger golf jumper it was still the same a decade later when Pringle was the craze. Today its brands such as Sunderland of Scotland who tops the roost with their stylish design and high-tech capabilities. 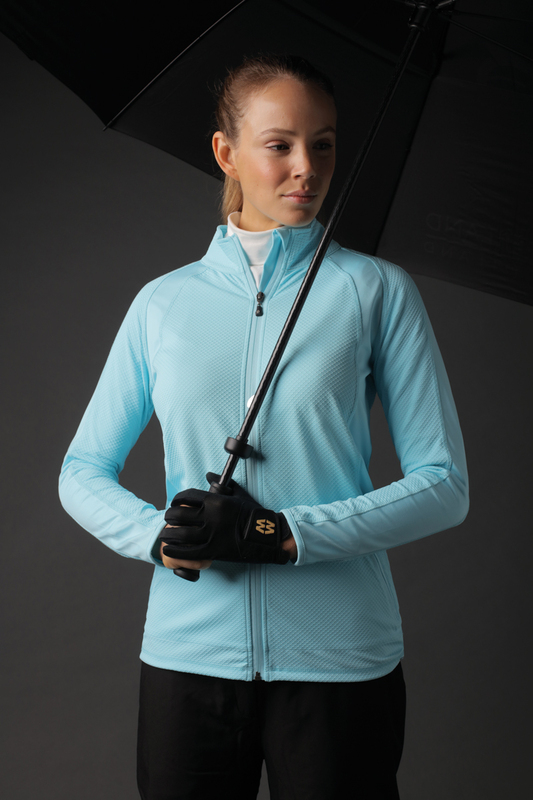 This new stylish collection has been specifically designed to protect from the wind and rain. 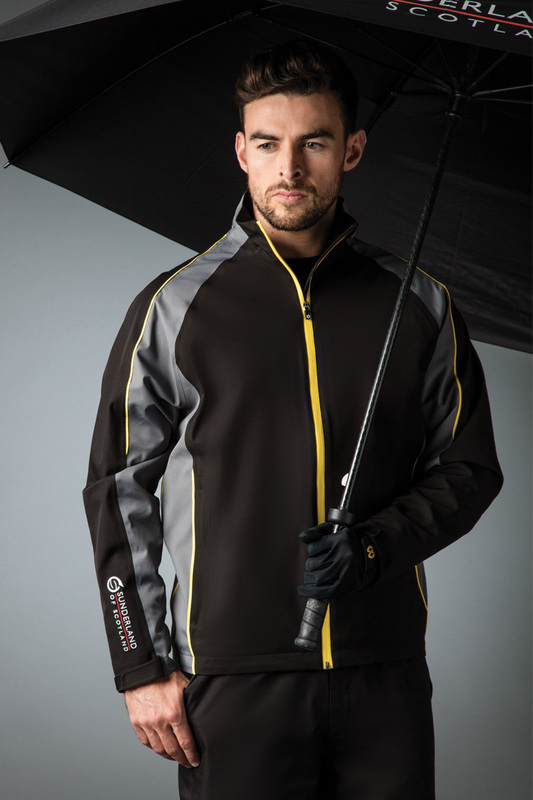 The men’s collection combines a palette of black and gunmetal with highlights of vibrant Energy Yellow to create a sporty on course look. 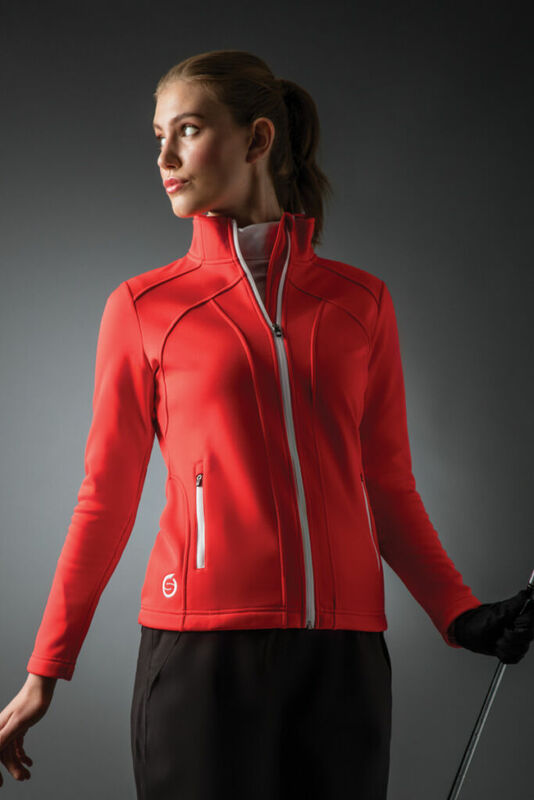 The ladies’ collection is refreshed with a Fire Red contrasting with black and silver. The menswear s.Whisperdry Luxelight Jacket (RRP £150) is featherlight, breathable and fully waterproof with stretch. 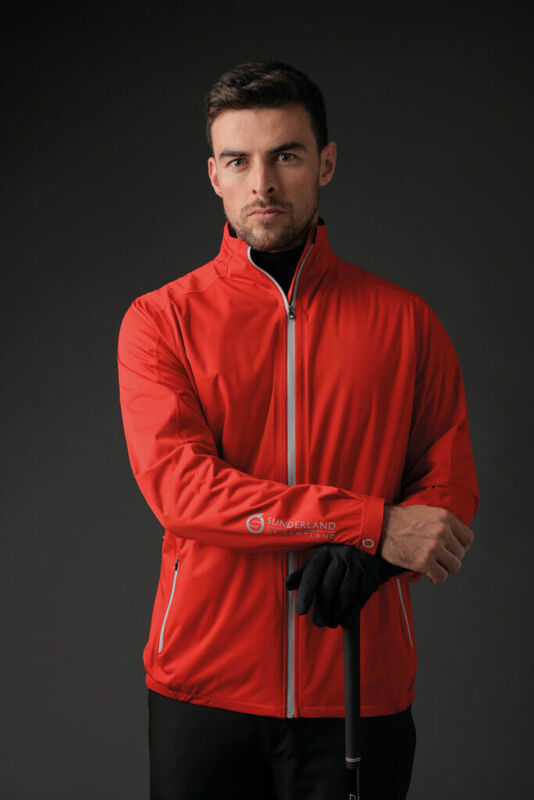 It is the lightest jacket in the collection and the design incorporates ergonomic sealed seams to enhance freedom of movement and high neck with drawcord adjuster. Windshirts are a focus of this collection; made from a 3-layer interlock 4-way stretch fabric the tops deliver an extremely windproof and shower resistant option whilst remaining lightweight. The s.Nevis (RRP £80) is added to the collection in Gunmetal/Energy Yellow and its half sleeve counterpart the s.Himalayas (RRP £75). The mid layer collection has been enhanced with the addition of the new s.Vallon (RRP £60) a super lightweight, 4-way stretch heat insulating fabric which has a tricot backing to stop the product from sticking to undergarments enhancing freedom of movement. 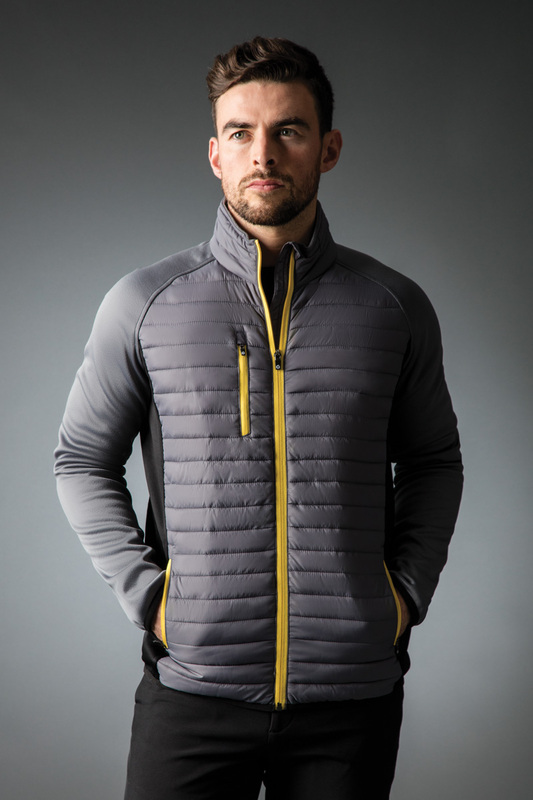 The s.Aspen (RRP £70) mid-layer protects from the elements with its Teflon coated interlock stretch fabric. A striking effect is achieved with the flash of Energy Yellow enhancing the sleeves and zip. Sunderland favourite s.Montana (RRP £110) is refreshed for this season with the Fire/Red colourway. Made from a lightweight polyester technical fabric with mechanical stretch the panelling achieves a slimmer silhouette. Following the success of the men’s padded collection, the new s.Tania (RRP £75) padded gilet has been introduced which is shower and windproof with stretch side panels in 3 new colours. The s.Nova (RRP £80) is revived in this collection in a bright Fire Red, the brushed polar fleece jacket is insulating and effective at protecting from the cold. Accessories to highlight are the s.Ultralight Wide Brim Hat (RRP £25) crafted with a seam-sealed fully waterproof fabric with a breathable micromesh lining. Wear with the new s.Thermal neck warmer (RRP £12) and s.Thermal lined showerproof mittens (RRP £25) a popular and stylish choice to ensure warmth and protection in all conditions. 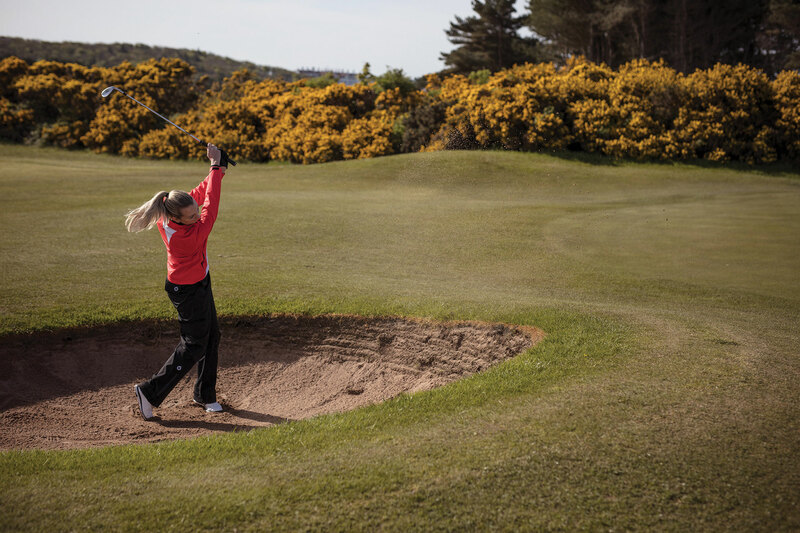 Claire Woods – Head of Design, Sunderland of Scotland adds: “The Sunderland of Scotland brand has truly been revived as a leader in innovative and high-performance golf clothing. The Spring Summer 2019 collection continues to evolve the Sunderland brand combining cutting edge fabrics, vibrant new colours and contemporary sport design”.